If I am understanding your question correctly, the bumper you're describing wasn't used until 1974. 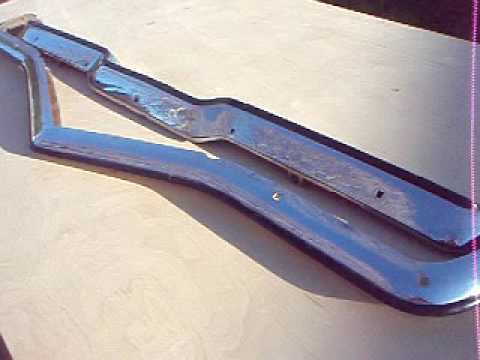 The 1970 through 1973 Camaro bumpers had no rubber on them. Attached are copies of the covers from a 1972 and 1974 Camaro Brochures. I don't have a brochure from 1970, but the 1972 should be the same as the 1970 model year. 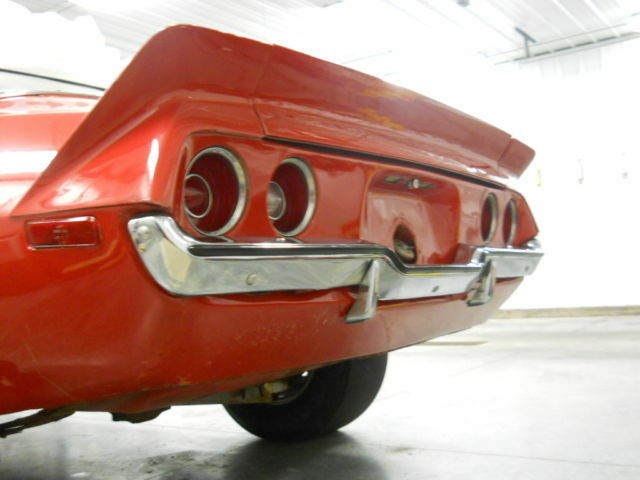 The split front bumper was also an option in the 1970 - 1973 model years. No this was a 1970 Camaro bumper front and rear. The car was a numbers matching L78 4 speed that won numerous shows including 2nd place at Super Chevy and 1st at a couple World of Wheels. It had bumpers that had small 3/8 to 7/16 strips on the front and rear bumpers with small studs with nuts on the back side. Will see if I can find pics of them. Know they were factory cause when I replaced the grille it had gm markings on the bumper and had a small ridge on the bumper center for the strip to bolt too. Well, I looked in the Camaro White Book and found that an RPO VF3, Deluxe front and rear bumper, was offered in 1970. Only 1605 Camaros were built with them, which may explain why a person might be unaware of them or have a hard time finding a picture with them. Thank you so much could not find the option in anything I looked at. Those are the bumpers. It was an odd car as it had no other options not even a tach/gauge cluster which I found odd for a solid lifter engine car. Not even a center console. Would love to find the car and get it back. It was an all matching numbers car . Thank you again . Anybody know anything about these ebay bumpers?